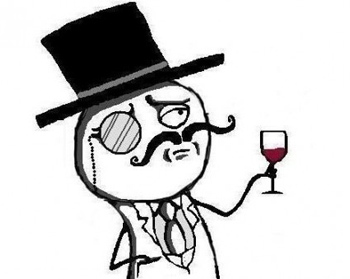 A pair of English LulzSec members admit they took part in DDOS attacks against Sony, Nintendo and others. Today, Ryan Cleary, 20, and Jake David, 19, both told the Southwark Crown Court that they took part in the DDOS attacks on Sony, Nintendo, 20th Century Fox, the NHS and the British branch of News Corp. Cleary pleaded guilty to six of the eight charges laid against him, while David pleaded guilty to two out of four. Two other men, Ryan Ackroyd and an unnamed 17-year-old, pleaded not guilty to similar charges. "Arrest us. We dare you," the (ugh) hacktivist group tweeted back in July of last year. The authorities did exactly that. Several alleged members of the group were arrested after a joint investigation by Scotland Yard and the FBI. Asperger's Syndrome sufferer, Cleary, who is being held in jail in the UK after breaching his bail conditions, was indicted earlier this month by a federal grand jury in Los Angeles. It's unclear, at this point, whether US authorities will push to have him extradited, but Cleary's lawyer says she would "fiercely contest" any attempts to do so. "Cleary is a skilled hacker. He controlled his own botnet, employed sophisticated methods and his broad geographic scope affected a large number of businesses and individuals," an FBI spokesperson told Reuters back in June. A UK judge has set a trial date for next April.